The fireworks event was such a great success and there has been so much positive feed back. 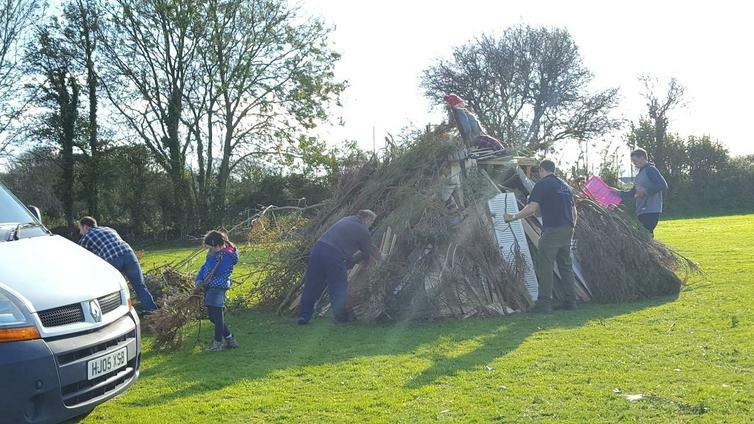 There were so many wonderful volunteers helping, including Fred who took charge of the fireworks and Nick who was in charge of the building, and lighting of, the bonfire. 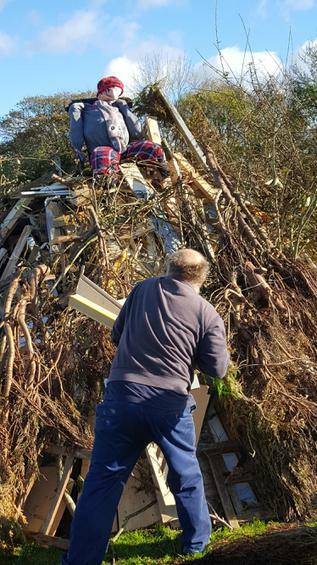 In the morning,van loads of people delivered wood for the fire, everything from staircases to garden sheds! There was a great buzz in the air with everyone feeling very excited for the evening's events. 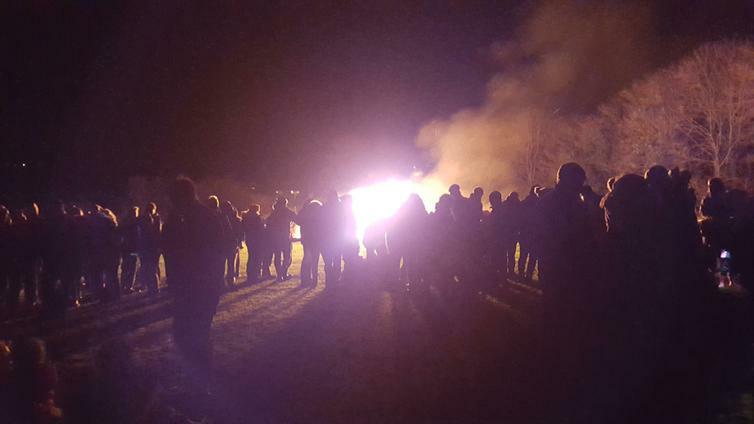 Villagers poured on to the field and the fireworks were set off . It was a short but spectacular display. We will know to buy more for next year! The Deluxe hot chocolates were a total hit, so much so that 5 jars of hot chocolate, 4 canisters of cream and 2 massive bags of marshmallows were used!! 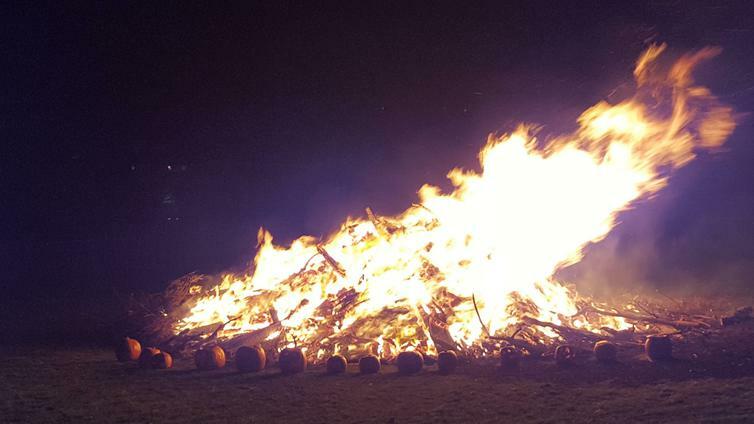 The display of all the carved pumpkins, that the children brought along, looked fantastic around the base of the bonfire and the Guy on top, made by Wembury Pre-school, looked fantastic. The food and drinks tent was run by a super team of parents from the school, who did not stop all evening. After the event everyone chipped in with clearing the site and making the bonfire safe. The morning after FRoWS commitee members congregated to get the final bit of tidying up done and reminisce about the fantastic evening they had just had. FRoWS made an absolutely spectacular £1100 and no doubt will be doing it all again next year. A MASSIVE thank you to FRoWS and all family and friends that supported this amazing event.